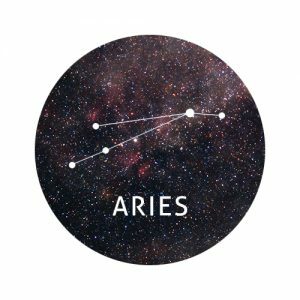 Do something you’ve been putting off for ages, Aries. Procrastination won’t get you anywhere and the longer you delay, the longer you’ll have to carry the weight on your shoulders. If you’ve been feeling stressed lately, make a list of all the things you need to do. The tasks ahead may seem challenging but the sooner you actually make a start, the better. Be wary of someone who has betrayed you. Although you may be keen to forgive them and carry on as normal, they may see your forgiveness as an opportunity to take advantage again, rather than as a second chance to show they really care. 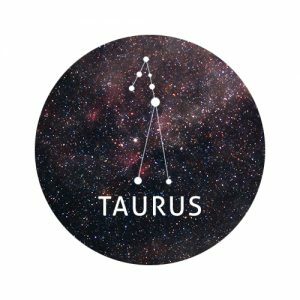 You may reach a plateau in the coming days, Taurus. But don’t be disheartened! Power through and you’ll definitely achieve your goals. 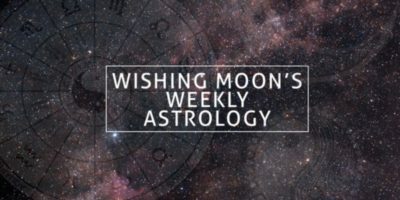 You may struggle to reach your target as early as you’d like, but by unleashing that incredible Taurus ambition, you’ll get to where you want to be eventually. An old friend may make a reappearance over the weekend and you may be surprised at how little their life has changed since you last spoke. Try not to judge them for what you perceive to be a failure to grow up. If they’re happy with their life, that’s all that matters. Do you pride yourself on keeping other people happy? Do you try to avoid conflict at all costs? Although this people pleasing behaviour helps minimise the risk of arguments and drama, it could be placing an invisible barrier between you and your best life. 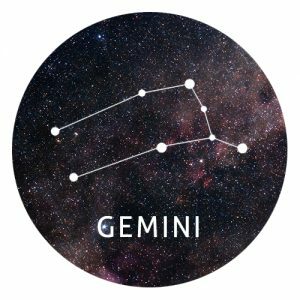 Practise saying the word ‘no’ in the coming days, Gemini. An old friend may ask you for a favour, despite not being there for you when you’ve needed them. If you don’t want to help or they’re asking too much of you, don’t be afraid of politely turning them down. Take a long hard look at your finances this week, Cancer. Are you a spender or a saver? If you find yourself struggling for money in the days leading up to payday, now’s the time to reign in your spending once and for all. By breaking the pay cheque to pay cheque cycle, you can build up a healthy cash stash to spend elsewhere in your life. Whether you’ve been dreaming of buying your own home, going on the trip of a lifetime or buying a flash car, changing your finances is the first step to achieving your big life goals. The birth of someone or something new is likely to play a large part in your life this week, Leo. Whether you’re celebrating a new arrival or enjoying a drastic but rewarding life change, the days ahead are sure to be positive and filled with emotion. Surround yourself with people you love, particularly when the weekend comes around. Don’t be afraid of pushing more serious aspects of life aside to make room for the opportunities life throws at you. You may make some magical memories. Have you been thinking about reassessing your living situation? From saving money to making new friends, this could be a great way of giving your whole life an overhaul. If you’re scared of change, bite the bullet and take the leap. The same rule applies to other areas of your life too. Are you happy in your career? If not, recruit a friend to help you dust off your CV and celebrate your skills. It’s so easy to get stuck in a routine but by doing things differently, you’ll be amazed how much your life will change. lives that little bit brighter. A friendship may blossom into something special in the coming days. 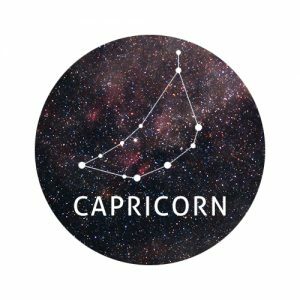 If mutual friends have been cheering the two of you along and rooting for a relationship, this could be the sign of magical things to come. Unlock your inner leader and be assertive this week, Scorpio. A boss or senior colleague is waiting for you to use your initiative and be proactive in your decisions. Don’t wait around for the light to turn green; put your knowledge into action and start leading those around you in the right direction. Be careful not to let this assertiveness spill out into your private life though. Your friends and relatives are unlikely to take kindly to being told what to do. 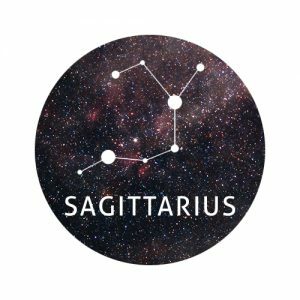 Your productivity may plummet this week, Sagittarius. If matters are within your control, try to find the motivation to spring into action and inspire those around you. By flaunting this get-up-and-go attitude in the workplace, you’re sure to impress your boss. Don’t fall into the ‘all work, no play’ lifestyle. When the working day is done, be sure to pack your calendar full of plans and let your hair down. Maybe you’ve bitten off more than you can chew. Those around you may think of you as a confident and strong leader but if you’re out of your depth, it’s just a matter of time before everything starts crumbling around you. Don’t be too proud to ask for help and confide in someone you trust. By gaining the support of your nearest and dearest, you’re likely to achieve so much more than you can alone. Besides, it’s often said that honesty is the best policy. No good can come of deceiving others or making out you can do more than you actually can. Has a good friend betrayed your trust, Aquarius? Perhaps you told them something private and automatically assumed they’d keep it to themselves. Before you spark an argument or cut this person out of your life, calmly confront them and explain why their actions have bothered you. If this person truly cares, they won’t have meant to hurt you. Perhaps they thought your secret was safe to share! Have you been flirting with someone who is off limits? You may have completely innocent intentions but you flirtatious attitude could have unwanted consequences. Have you spent a lot of time lately looking at other people’s lives and wishing you had what they had? If so, it’s time to step away from social media and focus on your own world. Whether you’re jealous of an ex’s new partner or wishing you’d been on the holiday of a lifetime like an old friend, you’re wasting you’re time. Instead of obsessing over other people, set out a plan of action to transform your path ahead. Your future is 100% within your own control. You’re not as busy as you think you are, Pisces. If you’re really that passionate about achieving a particular goal, there are plenty of ways to free up time to use towards your mission. From cutting down on the amount of TV you watch to deleting social media apps from your phone, you’ll be amazed how much more productive you become.